Yesterday, I was traveling in an Auto rickshaw from Ludhiana Bus Stand towards Aarti Chownk. After few minutes of journey, a policeman boarded the auto. The moment our auto reached his stop, the policeman ran away from the auto without paying and saying any word to the auto driver. 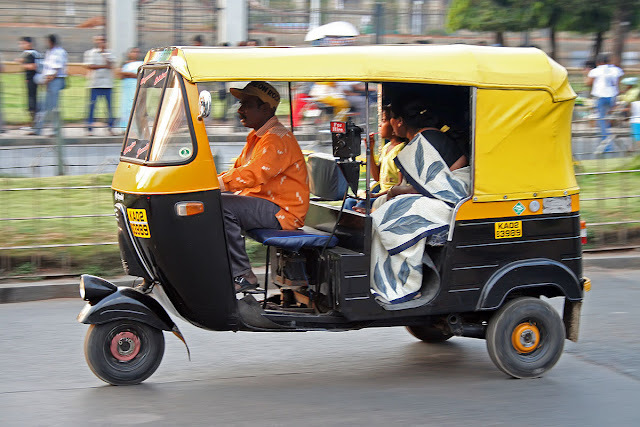 As soon as he left, the auto driver started abusing him and said "they get paid so much but still they don't pay", I felt very bad to witness that situation, so I suggested the driver to ask for money from him, as the light becomes green, because it was his right. The light turned green and slowly the auto moved forward and we were now passing through that policeman, the auto driver gave him a look but neither stopped auto for money nor said anything to that policeman.. This time, I couldn't realize who was right or wrong but definitely, I felt that something was not correct.